It’s that time of year again; on February 4th people all over the country and a few handful of student groups will be packed on their sofas to watch the New England Patriots and Philadelphia Eagles battle it out in Minneapolis, Minnesota for Super Bowl LII. As far as the prestige of this game goes, the past has never failed to excite and captivate the onlookers of each year’s game no matter what two teams are involved. 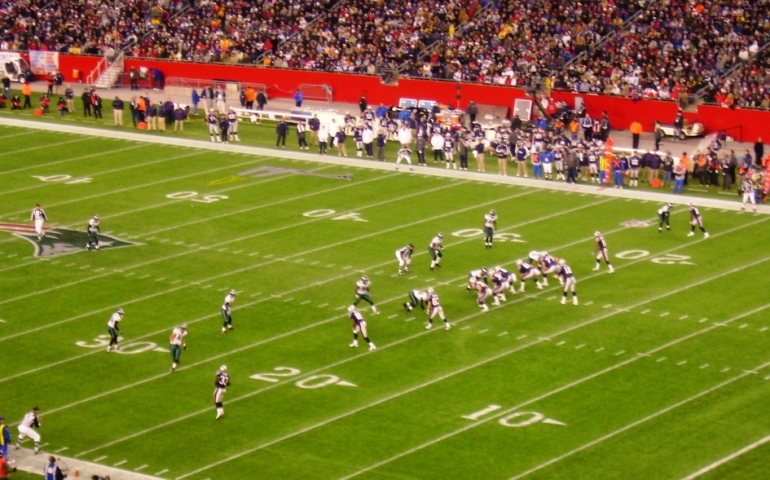 Coincidentally in the past decade, the Patriots have been the headliner and favorite to win the game and since 2000 they have successfully won 5 Super Bowls. This year’s Super Bowl story is one that will go down for the ages with one underdog Eagles team being led by a backup Nick Foles after the team’s star quarterback Carson Wentz went down with a torn ACL right before playoffs. This team’s surprising playoff run has shocked the whole NFL by not just staying alive but standing on top of the mountain for the whole world to see. The New England Patriots have always been known as winners around the NFL, drawing back to their head coach Bill Belichick’s first press conference when he mentioned him expecting nothing but winners from the franchise, and he has continually succeeded at it. The legacy he has put together with help from his star quarterback Tom Brady and crew is being put to the test once again this week in hopes to add one more win to their chapter. Just like Anthony, many will be ready to watch as another Super Bowl unfolds and writes itself into history.